Sometimes weathermen can be wrong. I know, I know. That sounds crazy. But it’s true. However, weathermen have not been wrong about today’s weather in Green Bay. It’s really cold. 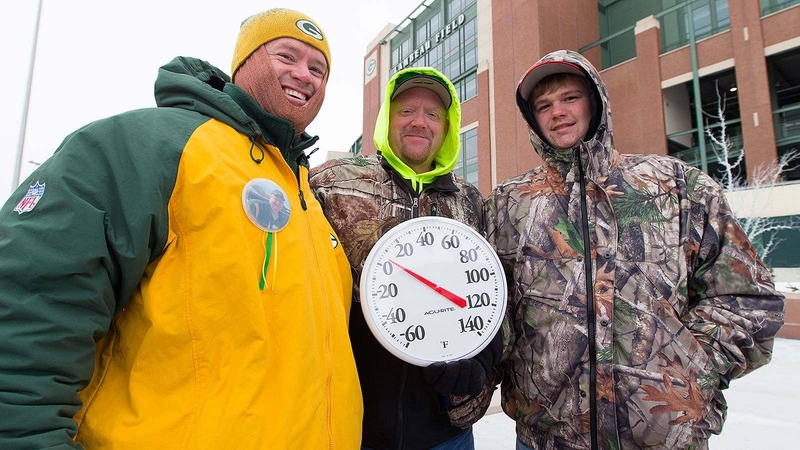 These amateur weathermen standing outside of Lambeau before the 49ers-Packers game have all the proof we need to know we don’t want to be at that game today. Green Bay Packers fans Jonah Traaseth and Eli Traaseth tailgate prior to Sunday’s game. Some players apparently don’t give a heck, either. Be careful out there, folks. Most importantly, do whatever it takes to make sure your beers don’t freeze. It’s gonna be a long, cold afternoon/evening in Green Bay.